Mr. Vishal Dixit is the Founder of Adya Higher Medicine, a global health and wellness start-up. 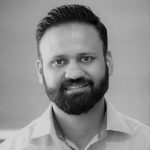 He has diverse private equity and venture capital experience in enterprise services, technology, healthcare, infrastructure, and consumer sectors, across multiple markets such as the United States, United Kingdom, and India as a Partner, Senior Advisor in global funds like Omidyar Networks, Mayfield, and Zephyr. In addition, he has grassroots experience in the education, healthcare, and rural sectors in India. Mr. Dixit received a Master of Arts in Mathematical Economics and Econometrics from Bombay University and an MBA from Stanford University. Mr. Amit Khosla is the Founder of Valtrust Capital, a leading asset management company and multi-family office in India. 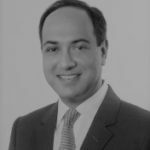 Mr. Khosla has over 2 decades of institutional investment experience across global funds like AsiaBridge, DB Zwirn, Actis and JP Morgan. He was also the founding partner of a fund management platform, Catalyst based out of Mumbai. Mr. Khosla is a BA (Economics) from Delhi University and has received an MBA from Kellogg School of Management (Northwestern University, USA). Mr. Manish Kheterpal is currently a Partner with WaterBridge Ventures focusing on early as well as late stage investments. 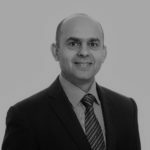 Prior to WaterBridge, Manish was a Director at Providence Equity Partners, a global TMT private equity fund. Previously, he was a Principal with Actis Advisers where he focused on buyout and growth capital investments in India. Before Actis, he worked on venture capital investments at Rho Ventures in the USA. 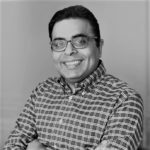 Manish has also worked in Tech & Telecom sectors for companies such as Lucent, Nortel and Infosys in product management roles. Manish is on the Governing Board of FIIB, a leading Indian business school and also serves on the Board of Directors and Advisory Boards of several companies. 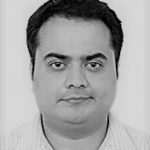 Manish received an MBA from Stanford University and a B.Tech from IIT Delhi. A technological advisor, mentor, entrepreneur, and owner of an independent office for positioning and creator of technological synergies in diverse fields of knowledge for companies, Startups and technical due diligence for investors. With over 20 years of experience at the IMOD Directorate of defense R&D and technological infrastructure development, he last worked as Defense attaché in India for research and development. Initiating and sprouting cutting-edge energy systems worldwide with a focus on technological added value, its empowerment and fulfillment. Technological shortcuts towards effective realization of the company’s added value during the improvement stage and implementation of a prototype. If necessary – establishing cooperation with leading content experts and companies with complementary or synergistic knowledge. Activities with MOD – exploitation of existing technological excellence in new areas of knowledge (dual use) and / or adjustment of military world of knowledge while collaborating with industries with relevant interest. A unique role involving entrepreneurship and a full technological understanding alongside cultural and business differences. Markets Development – Identification of technological needs and connecting these to local industries for mutual interests. Fostering ties with academic institutions, identifying unique minds and professional development programs, curricula and academic content.